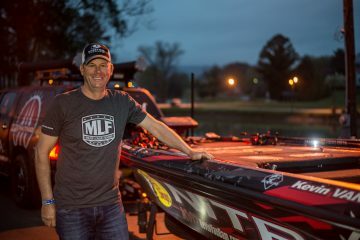 DAYTON, Tenn. – Competition in the Stage Four (Chickamauga Lake) MLF Bass Pro Tour begins Tuesday and the experts say the anglers expect to catch big bass, and plenty of them. According to local MLF pros Jacob Wheeler, Andy Morgan, and Michael Neal, this impoundment of the Tennessee River is stacked with good, scorable-size largemouth, and some of the best double-digit trophy bass fishing opportunities in the country. Morgan has recent experience with those Chickamauga giants: he caught a 13-pounder there in early March 2018, a fish that he documented on his Facebook page. “That’s not the only one of those swimming in this lake,” Morgan said. 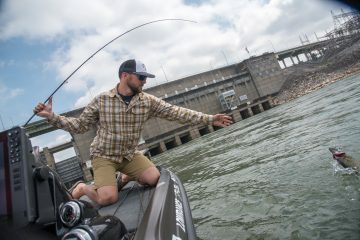 Pro angler Ott DeFoe, recent winner of the Bassmaster Classic in Knoxville hopes to keep his Tennessee River momentum rolling. 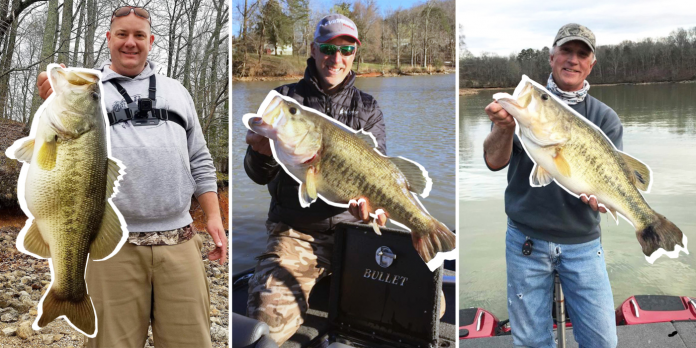 Many national tournaments fished on Chickamauga in the past 10 years have taken place later in the season – mid to late-June – when the lake’s largemouth are schooled up offshore. The MLF Bass Pro Tour arrives in town during the classic pre-spawn/spawn period, and unlike the offshore-ledge bite that has dominated many events in the past, the 80-angler field may just be in for a big bass treat in the shallows. Will local knowledge factor play a part in the outcome on Chickamauga? Wheeler, Morgan and Neal agree that it won’t. Neal also feels that his lifetime experience on Chickamauga won’t be of significant benefit to him. “With so many bass pushing up toward the banks, there’s really no advantage for anybody,” says the Dayton native. “I think things like having a huge local tournament going on the Saturday of our event will have more impact than an angler with local knowledge. Wheeler’s advice? Look somewhere else for advice. MLF professionals are taking part in numerous public events and appearances this week. • TIME: 11:00 a.m. – 1:00 p.m.
• Angler Q/A sessions 1:00 p.m. – 3:30 p.m.
• TIME: 7 a.m. – 3 p.m., Trophy Presentation @ 4:45 p.m.